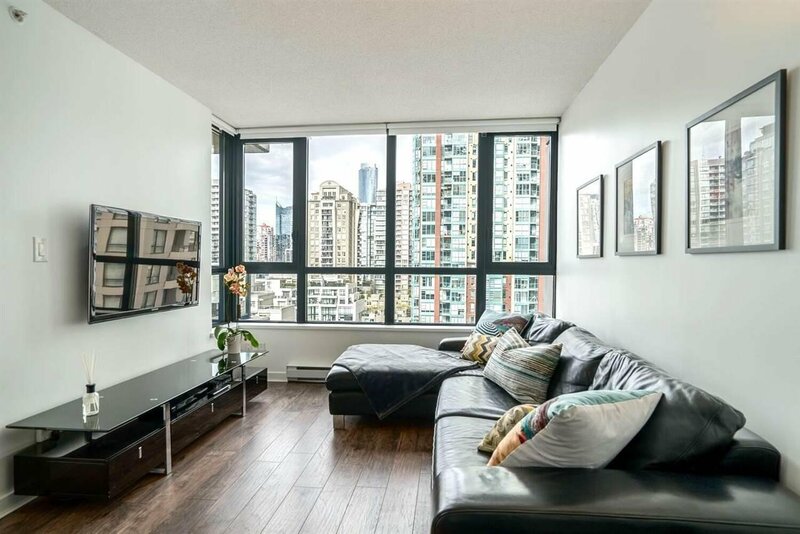 Welcome home to Yaletown Park 3! This one bed+den offers a functional open layout including granite countertops, built-in wine rack, insuite laundry and a great patio just in time for summer! Renovated in 2018: brand new bathroom includes Volkas porcelain tile, engineered dark grey wood hickory floors & fresh paint throughout the entire suite. Boasting a walk score of 99 you are literally steps away from all the conveniences in the heart of Yaletown. Start your morning with a fresh brewed coffee from Starbucks at the building's base and choose from the many nearby shopping & restaurant options Canada line is 5 mins walk from your door. Pets & rentals OK! Parking + Storage included. OPEN HOUSES: Thurs. April 19th 5:30-7:30pm, Sat. April 21st 1:00-4:00pm & Sun. April 22nd 2:00-4:00pm.